A sensible balance for practice might be to devote roughly the same amount of time to each skill as the weighting each one attracts in the exam mark scheme. 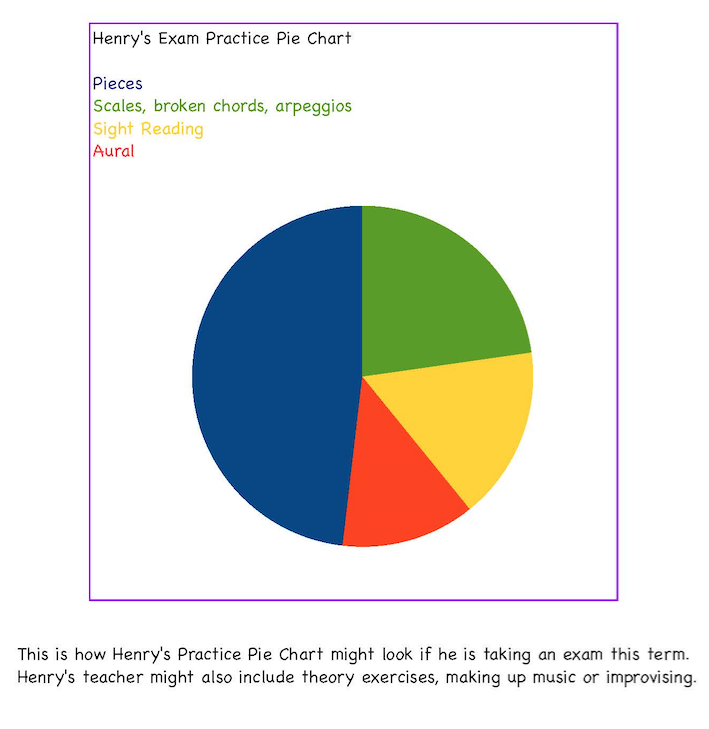 The chart below shows the suggested balance between pieces and the supporting tests for Henry, who is preparing to take an ABRSM examination. Your child needs clear objectives in respect of what needs to be learned, then practised and refined prior to the examination. The teacher will go through each stage of learning during the lessons, working on small sections at a time which your child then needs to practise at home. Hearing the music before starting to learn it is really useful for showing the ideal performance. Having access to a reliable recording, such as this video of Survivor played by Jessica O'Leary, can keep your child inspired and on track during the weeks leading up to the exam. It is important for your child to practise performing ahead of the exam so, once she is playing or singing with reasonable accuracy and fluency, it's time to ask your friends and relatives if they could be a practice audience. Some parents imagine that people will think they are showing off their child's achievements but, as long as you frame the request to listen as a huge favour that will help your child on the big day, I'm sure they will feel honoured to help. Although the pieces carry the most marks and are the main focus for pre-exam preparation, the supporting tests should be practised too for maximum chance of success. 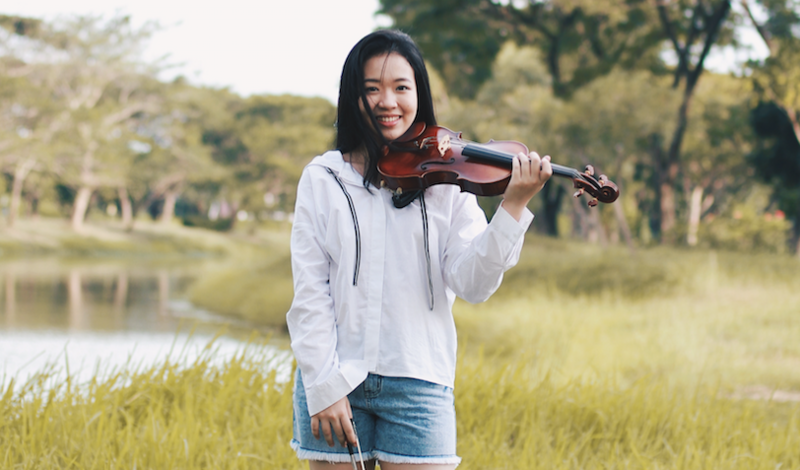 So often, exam candidates play the pieces or sing the songs well but their mark is held at a bare pass level because their supporting tests are insecure. Your child's teacher will explain how to work on scales or technical work and may also recommend a good sight reading book to use at home. Lesson time is often too short to cover adequately everything that is tested in the exam but it is easy to practise the aural tests at home now that we have online Aural Test Training to help.